2) Install sis editor then open it=> Option => Open Sis/Sisx File=> Open hike Installer=> File list => hike.sis=>extrct. 3) Install hike then install the notification. 4) Close font changer app(Disibal forntrouter/flip front/font zoomer) then restrt ur phone..
Remve Any Pattern Lock Of A Android Device! Method:-Capture your photo or selfie and make it Black-n-White. And set it as your profile picture. Result:- Your friends can recognize your profile, that it's not a fake id. And nobody will misuse your photo in other profiles as it's Black-n- White. Method: Click Settings > Privacy > Who can send you friend request > Friends of friends. Result:You'll receive friend requests only from the friends of your friends, not from everyone. So you'll receive less friend requests. Method: Click Settings > Timeline > Who can post on your timeline > Only me. Result: Nobody can post on your timeline. Your timeline will show only your status. Method: Click Settings > Tagging > Review posts that... > On. Result: If anyone tags you in his/her photo, you've to confirm the tag before the photo appears on your photos album. Thus, nobody can add their photos to your Photos album. Method: You can select Privacy as Only Me anywhere to hide any information (birthdate, phone no. etc). result:nobody can see that info. 1)Go To Your Fb Account. 2)click on Sittings and Privacy . 3)Then click on Timeline and Tagging . 4)click on "Review posts Friends tag you in before they appear on your timeline"
Description:- There Is No Option To Mute Camera Sound In S60v5 Phones. Don't Worry, Just Install This Mute Camera Patch & Capture Photos Silently. 1) Does 5233 Support Wifi & 3G? 2) How To Play Jar Games Fullscreen? 3) Why My Phone Is So Slow? => Settings > Personal > Themes > General > Options> Theme Effects > Off. 4) Why Do I Hack My Phone? 5) Why Cannot I Hack My Phone? =>Restore Your Phone (*#7370#) And Try. 6) Phone Asks My Forgotten Password While Switch On? =>Switch Off > Press & Hold Green, Red, Camera &Power Button Until You See Option To Select YourCountry. 7) How To Set Internet Setting At One Click? => Settings > Phone > Application Settings > Setting Wizard > Operator > Start > Mark All > Ok.
8) How To Open Zip And Rar Packages? =>Use BT File Manager Or Blue FTP. 10) How To Send Apps Via Bluetooth? 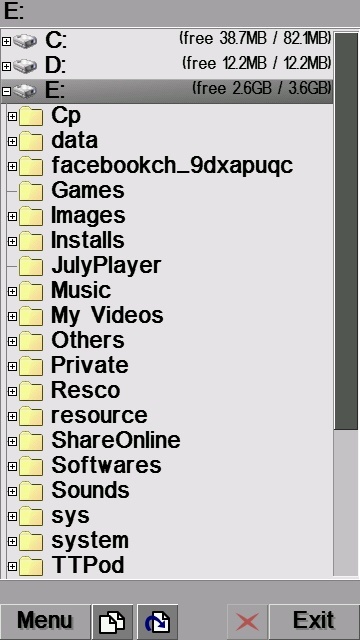 =>Use X-plore, BT File Manager Or Blue FTP. 11) Jad Files Are Irritating Me ? =>Rename "file.jad" to "file.txt". Open & Copy The Link. Paste Into Url Bar & Download The Jar File. 12) Why It Shows "Update Error" While Installing A App? =>Just Uninstall The Previous Version Of That App. HAVE YOU ANY MORE QUESTION ? ?